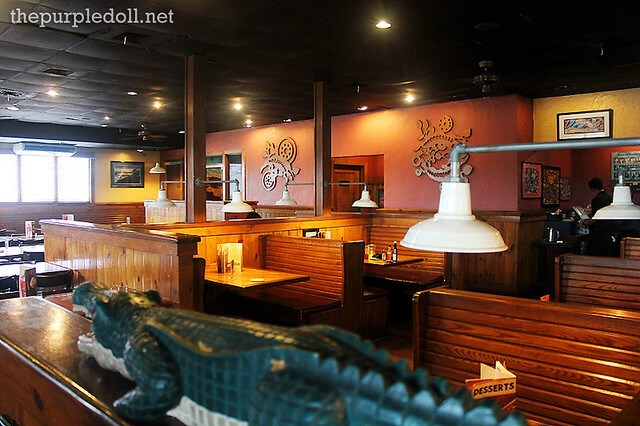 Outback Steakhouse: Where to treat mom this Mother's Day? 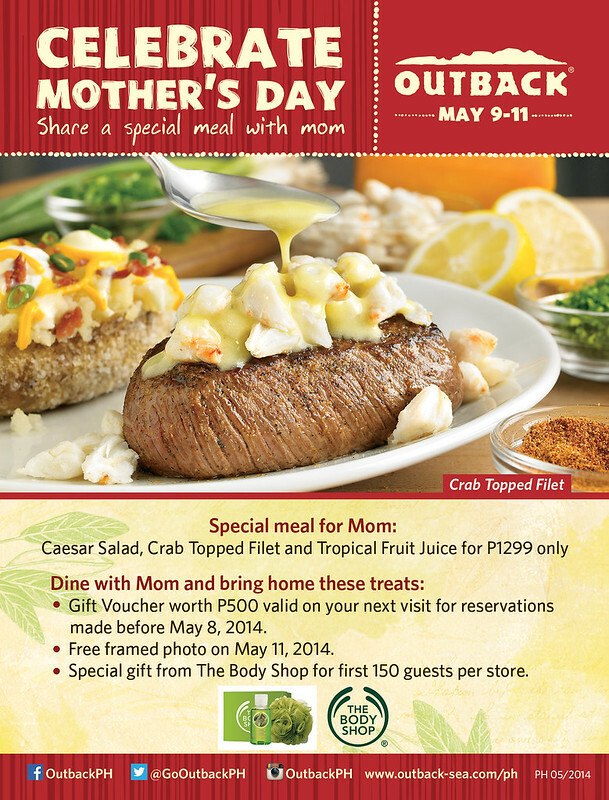 So there are a lot of places you can treat your mom to this coming Mother's Day. However, if the most special woman in your life is a carnivore, then look no further 'cause Outback Steakhouse might just be the right restaurant to celebrate her special day in. Whether there's an occasion or none, the beau and I always make sure to treat ourselves to good food. 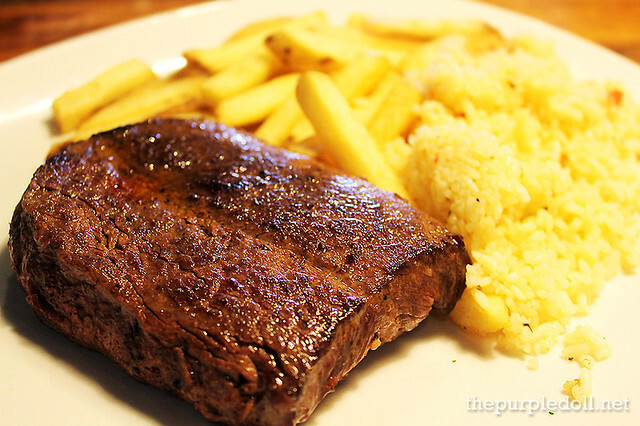 So a few months ago, in one of our lunch dates, we visited Outback Steakhouse in Libis. It sure has been a while since I've last eaten at this steakhouse, but I can still remember how good my experience was. So when we headed inside the restaurant, you can picture me going bonkers like a kid in a toy shop. As always, we were given this complimentary bread to munch on while waiting for our orders. 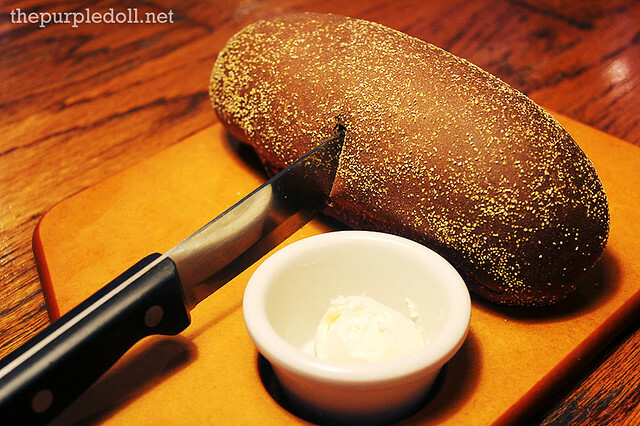 It may be trivial, but I really love Outback Steakhouse's gluten-free loaf of honey wheat bushman bread. Perfect with steak, and even on its own (with butter). Yum! As for our orders, I decided to go for the Toowoomba Topped Filet which has a seared 6-ounce filet topped with sautéed shrimps and button mushrooms in a tomato-cream sauce. It's also served with a siding of mashed potato, and steamed fresh veggies. This dish really tastes as good as it looks. I had it cooked medium rare, and they did it spot on! 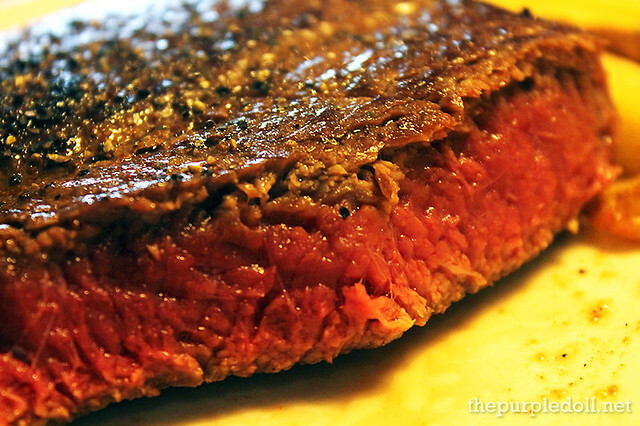 The filet itself was super soft, juicy and oh-so-flavorful. But the Toowoomba topping definitely took it to new heights. The shrimps were so succulent that biting onto them felt like a dream. 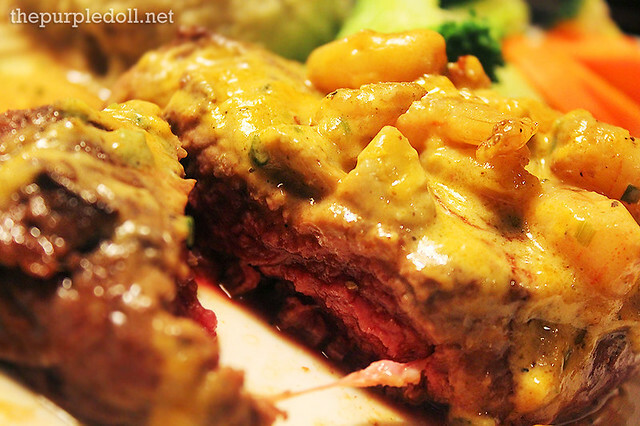 Every mouthful of the steak, shrimp and sauce was just oozing with savory, foodgasm-inducing flavors. Seriously, this is one dish I don't mind ordering and ordering again and again whenever we're at Outback Steakhouse. 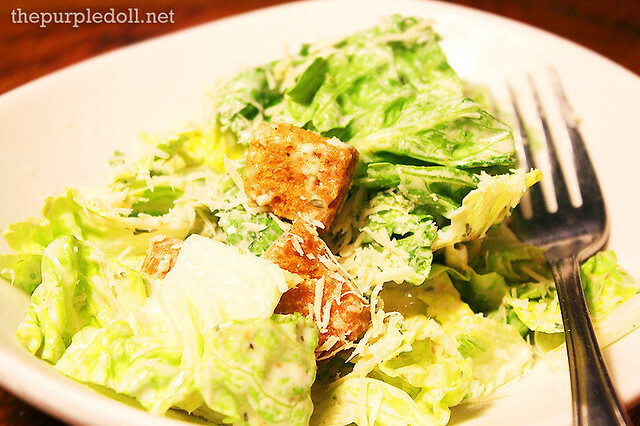 I also had this Caesar Side Salad for my meal, which didn't disappoint. It may not be the regular serving that's good for sharing, but it had plenty of crispy romaine lettuce, homemade croutons, and Outback's homemade Caesar dressing perfect for one. The beau on the other hand, got the Outback Special which has a seasoned and seared 8-ounce sirloin, served with the diner's choice of two sidings. As expected, the beau ordered both carbs for his side dishes -- Aussie fries, and rice pilaf. He had it cooked to medium, which Outback did marvelously. The beau was pretty happy with his steak as it was tender, juicy, and succulent. It was also seasoned just right, not overpowering, yet still tasty to be eaten on its own. I got a taste of it too, and it was indeed good. However, it wasn't as awesome as my Toowoomba Topped Filet. You know what can make the beau's steak more awesome? Yup, some Toowoomba in it! We actually didn't realize that we ordered two Toowoomba-infused items, but it was a good decision. This pasta dish just like my steak also has shrimps, but this time, grilled. 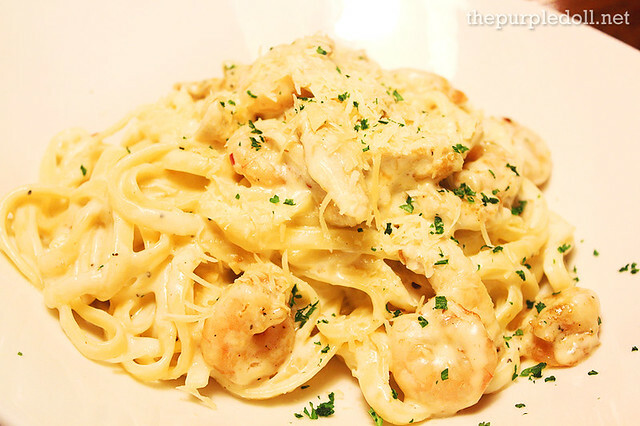 It also has mushrooms, Parmesan and fettuccine in a savory cream sauce. As for you guys and gals who don't know where to take your mom yet, I highly suggest Outback Steakhouse, especially if she's enjoys juicy, flavorful steaks. I personally haven't had that Crab Topped Filet yet, but I reckon it's similar to, or even better than, my favorite Toowoomba Topped Filet. If it is, then more reason to go this Sunday! This visit to Outback Steakhouse has definitely left me wanting more. I used to love my steak plain and lightly seasoned since I want to appreciate the meat's natural flavors. However, Outback's Toowoomba Topped Filet really left me impressed. It's not often that I like tampering my steak with other ingredients except for some veggies, or maybe some gravy, but Outback Steakhouse sure knows how to do it properly. Anyhow, if I have one gripe about our visit, it'd probably be the service. The Libis team is a little slower than Glorietta's. But other than that, we were completely satisfied.